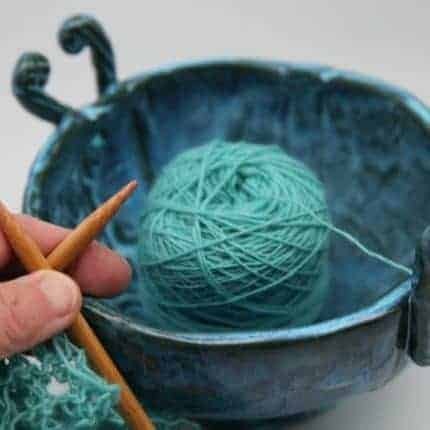 As a long-time knitter as well as a clay artist, I’ve designed and created this yarn bowl to function in several ways as you stitch. 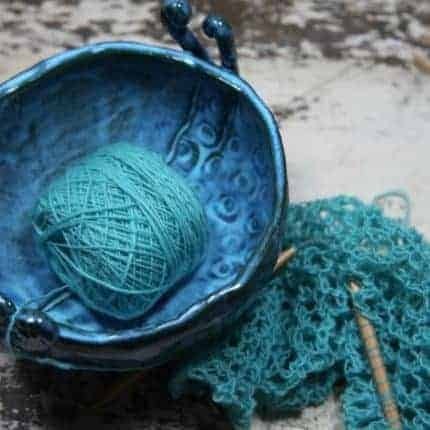 Of course, it can cradle your ball of yarn as you work — the heart-shaped handles guide any weight of yarn that can be slipped in and out if you want to take your project with you. 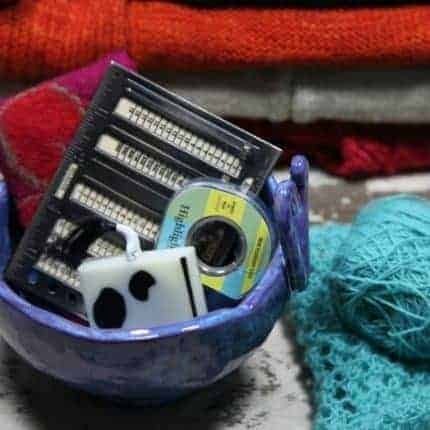 It can also hold your favorite snack or stitching supplies when it’s not in service for your fiber project. 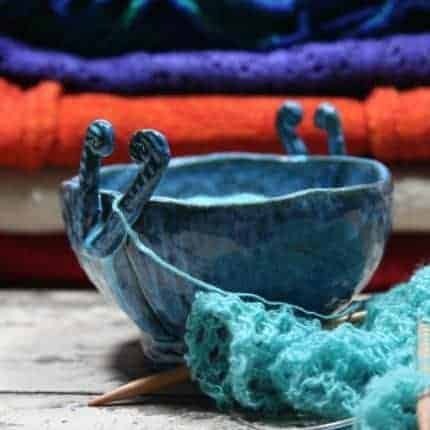 Each yarn bowl is hand crafted in my studio, decorated with unique textures I’ve created and finished with a bright two-color glaze process. 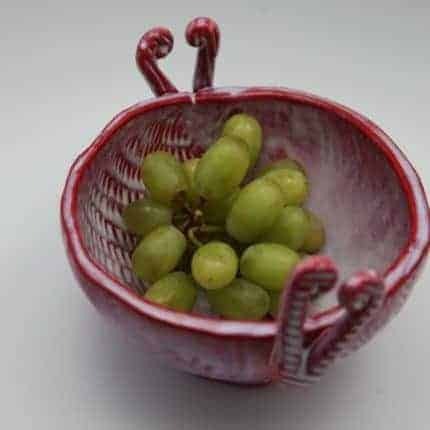 The approximate measurements are 6 inches in diameter by 4 inches high. 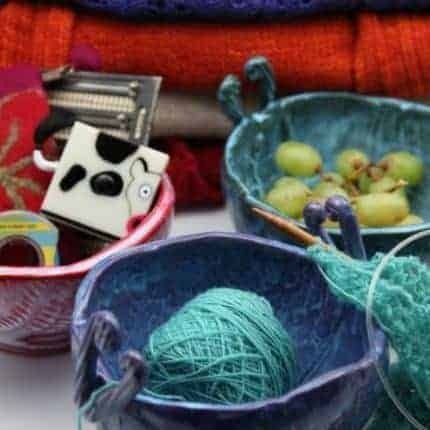 This whimsical stitching accessory is sure to enliven your next project!